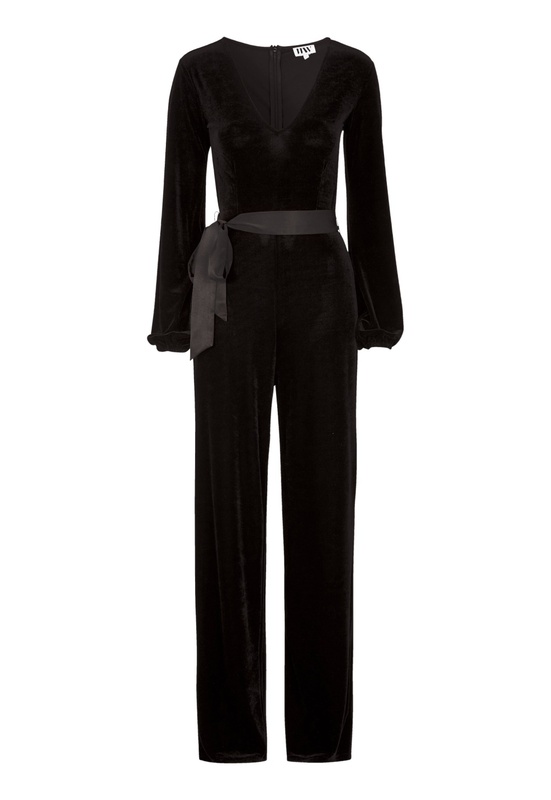 Gorgeous velvet jumpsuit from Make Way that will make you the belle of the ball. - Very soft and comfortable to wear. - Removable tie at the waist. The waist tie has a different fabric, which is a great detail. Inside leg: 82 cm, in size 36.